The simpleRTK2B – Starter Kit MR (Medium Range) allows simple and fast evaluation of Dual Band GNSS (GPS/Galileo/Glonass/Beidou) RTK technology, based on u-blox ZED-F9P module. This is the recommended Starter Kit for your line of sight projects. 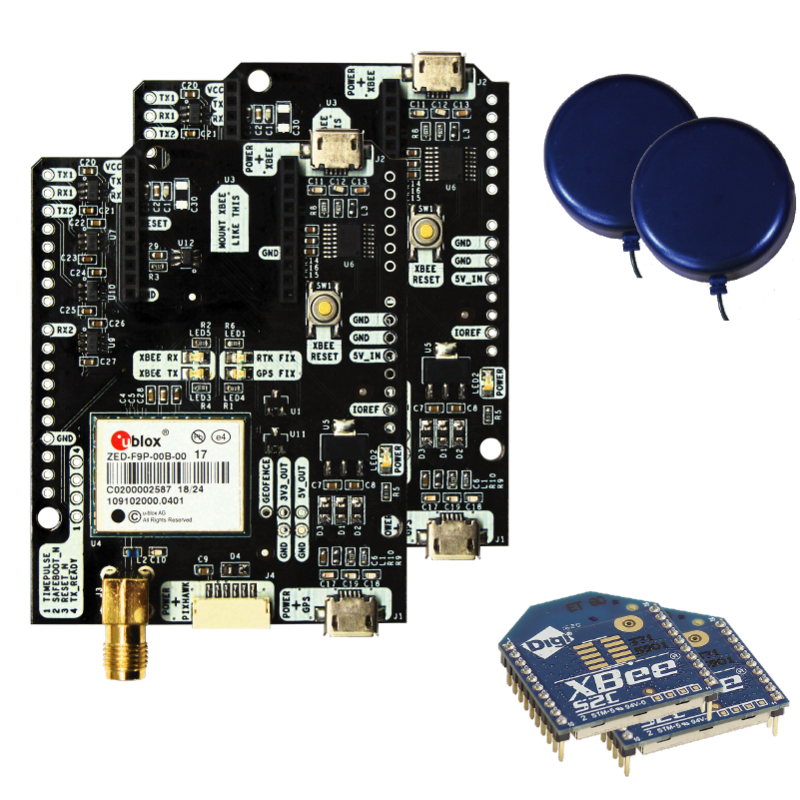 The kit includes 2 boards with base and a rover functionality. The included radio modules will let you send RTK corrections up to 1200m. If you need a longer range, check out our Starter Kit LR. – This product is not suitable for multirover configuration, check our LR kit if you are interested in this feature. – The included radio modules will let you send RTK corrections up to 1200m. If you need a longer range, check out our Starter Kit LR.